The Shasta camper is one of the most recognizable and loved vintage travel trailers that exist today. These trailers are highly sought after for restoration purposes by enthusiasts all over the United States. Though the history of Shasta may not be filled with industry firsts, the company has still made many valuable contributions to the RV world. These trailers were built to be a high quality, yet affordable travel trailer. The fact that many vintage Shastas are in existence today testifies to that. In 1941, Robert Gray began manufacturing his trailer for use as mobile housing to be used as mobile housing for the military. The trailers had to be rugged yet comfortable and Gray's trailers were just that. As World War II ended, many of the GIs who used these trailers were looking for an inexpensive means of recreation for them and their young families. Many had grown fond of the mobile houses that were used during the war and many manufacturers, including Gray, were able to benefit from this "love affair". Switching his focus to retail sales of his trailer, Gray sold the camper under the name of Cozy Cruiser. He manufactured them in the factory where he produced the military version in Los Angeles, CA. 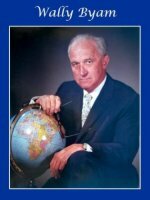 In 1952 he changed the name to Shasta and moved production to Van Nuys, CA. 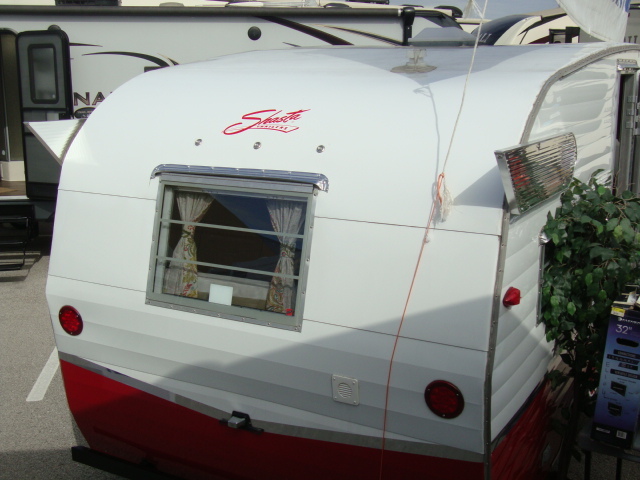 The public fell in love with the Shasta Camper, which offered models from 14' to 35'. Demand for the Shasta was so great, that in April of 1958 they opened a second factory in Goshen, In. 1958 also saw the addition of the iconic wings at the rear of the trailer. Shasta added them to symbolize freedom and flight. The wings were met with a love-hate relationship. 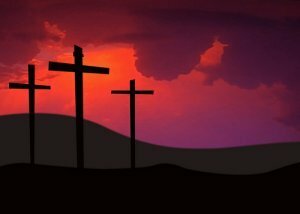 Some folks loved them, while others hated them and removed them from the coach. This makes it hard on those who wish to restore the coaches to their original condition, when the wings are missing, since replacement wings are nearly impossible to find. 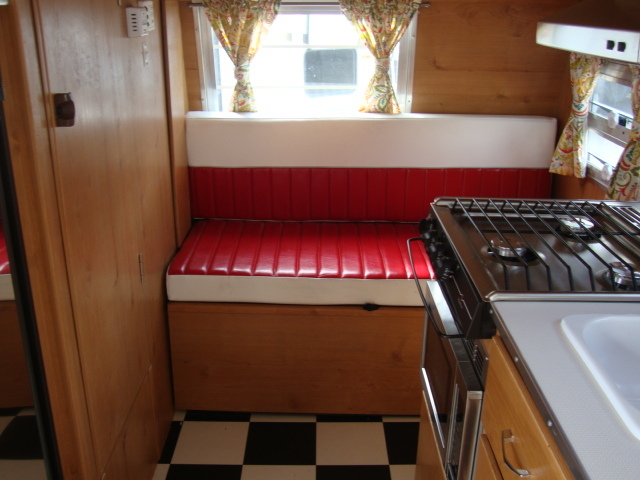 Another distinguishing feature of the Shasta camper is it's beautiful interior and cabinets. Earlier units featured birch and ash woodwork that was varnished to bring out the beautiful grain patterns through the deep honey-gold orange coloring of the urethane coating. The counter tops and tables were covered in Formica laminate, resembling a residential kitchen. This was a huge selling point in the 1950's, because of it's homey feel. 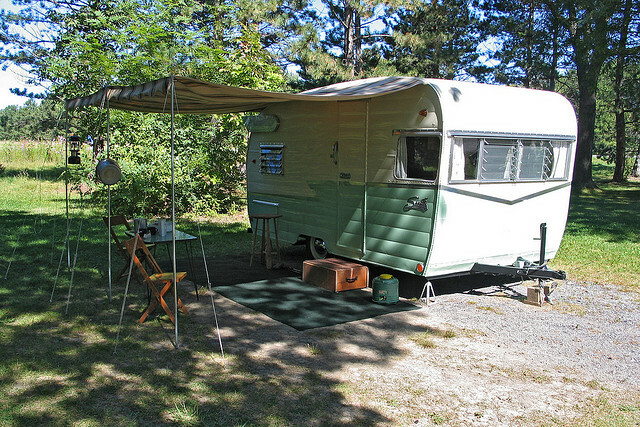 From the 1940's through the early 1960's the Shasta trailer was part of the canned ham class of campers. In 1961 they introduced the Astrodome model, which added a bunk that hung over the hitch area. This feature was popular with families that had small children, it provided a sleeping area for the kids away from the main floor area. The kids loved it too, for them it was their own little "fort" where no adult could invade. The Astrodome was produced until 1964. By 1964 Shasta had over five different lines of trailers, when it introduced a new design. 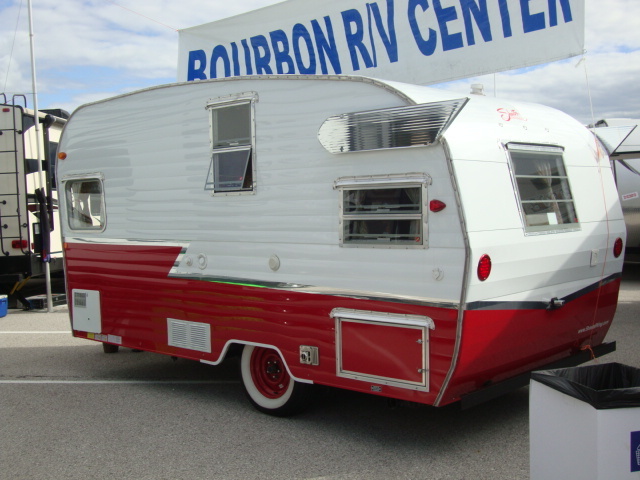 This model was called the Deluxe and was a square design, resembling the modern travel trailers of today. 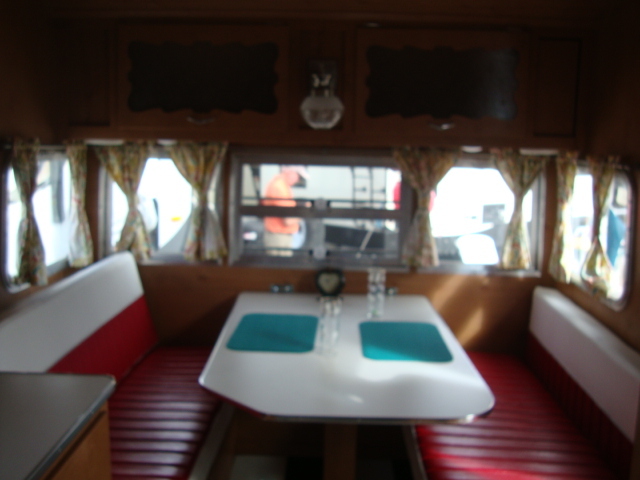 The Deluxe offered larger floor plans and was a more user friendly trailer. By the end of 1966, Shasta ceased the canned ham style of trailer and designed all their trailers in the modern squared off style. The 1970's were a trying decade for RV industry. Rising fuel prices and high inflation took their toll on many manufacturers. In order to survive, Shasta sold it's holdings to the Coachmen Company in 1976. 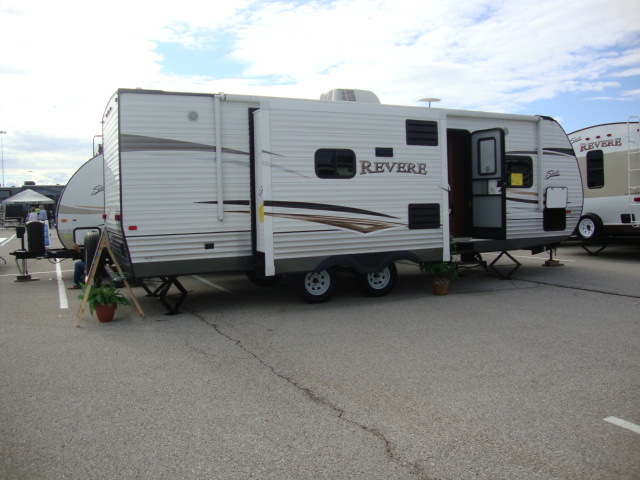 Coachmen continued to produce Shasta Campers through 2004 after being bought out by Forest River. There were no Shasta's produced from 2004 until 2009, when Forest River introduced a retro version of the Air Flyte, called the Air Flyte Reissue. This was a limited production model, but was so well received that Forest River brought back the Shasta for full production in 2010 and the Air Flyte reissue as a permanent part of their line up in 2015. Today Shasta travel trailers and fifth wheels are more popular than ever and are being built to the same standard that Robert Gray had for his original coach. It is nice to see a piece of Americana preserved.